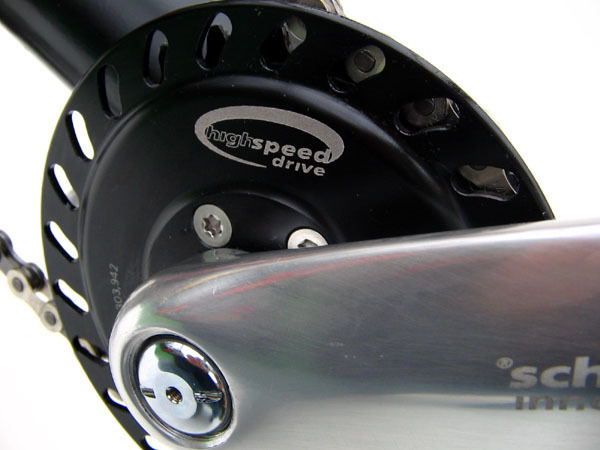 High-Speed-Drive Getriebe by Schlumpf-Innovations: Swiss high-speed-drive – just one click makes you speed up 2.5 times. Real 27 teeth only make it 67teeth while shifted - for widest gear range ever. Please notice: For assembly, a special cranc telescope is necessary. We will kindly offer you!